Cosmetic dentistry refers to all dental procedures that are performed to improve the aesthetics, rather than the health or functionality, of your smile. Cosmetic dentistry may not be essential for oral health, but it can have a massive impact on your mental and emotional health, making you feel freer and more confident. Here’s how cosmetic dentistry can boost your self confidence. Humans are social creatures, and isolation can lead to depression and anxiety. Yet if you are worried or embarrassed by the condition of your teeth, you may be reluctant to go out and socialize. Cosmetic dentistry can boost your social life by allowing you to speak, laugh, eat, and smile freely, without being concerned about showing your teeth. As you become more outgoing, others around you will react positively to your new outlook, further boosting your self confidence. For better or worse, we live in an appearance driven society. A beautiful smile is considered a sign of health, youth, and vitality. Cosmetic dentistry will improve your appearance, potentially taking years off and helping you put your best foot forward in any situation. Knowing that you look your best can help your self confidence soar, because you will no longer be tempted to hide your shining light due to perceived imperfections. Whether you are interviewing for a new job or meeting with clients, a confident, friendly smile can help you nail key career-related connections. You will come across as more genuine, trustworthy, motivated, loyal, and dedicated if you feel free to flash a toothy smile. When you are embarrassed by your teeth, you may avoid smiling or give only a tight grin, which can come across as fake and insincere. As you become freer with your smile, your employer and clients will naturally respond in kind. This can help you feel better and more confident in your career, further improving your self esteem. Sometimes a flawed smile is the result of a birth defect or a traumatic experience. In this case, cosmetic dentistry can be a vital part of healing. Taking charge of your smile puts you in control, helping you to move past the issues that caused the flaws. Embracing cosmetic dentistry can help you embrace the future, moving forward confidently and on your own terms. Cosmetic dentistry can boost your self confidence in many ways. Regardless of what caused the imperfections in your smile, you can change your story starting today. 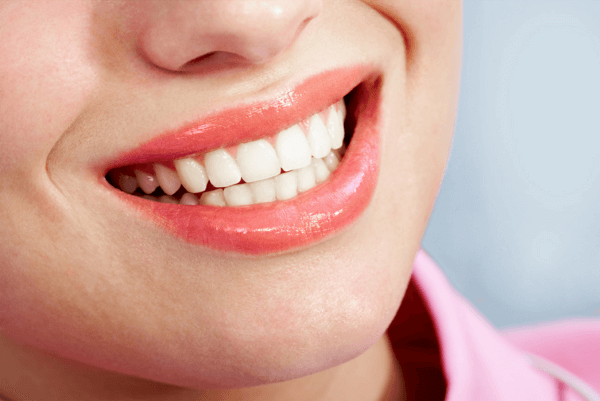 We’ll perform a comprehensive assessment and help you design the new smile of your dreams. Led by top cosmetic dentist Dr. Andrew Sami, Gold Coast Smiles blends form, function, and aesthetics when designing individualized cosmetic solutions. We cater to those with dental anxiety, providing a comfortable experience with flat-screen TVs and nitrous oxide available on request. If you are searching for a patient-centered, highly experienced dentist in Long Island, please give Gold Coast Smiles a call today at (516) 676-0250 to schedule your first appointment.